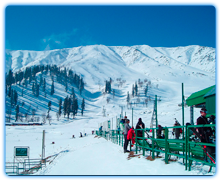 After breakfast full day excursion of Gulmarg - the most beautiful summer resort in the valley. It is popular for its highest golf course and skiing in winters. 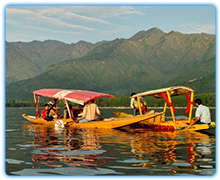 You can enjoy a pony ride and also enjoy a Gondola ride (cable car) to Khilanmarg (at your own cost). Return to the houseboat by evening for overnight stay.